Is there anything that screams summer more than a cold glass of lemonade? 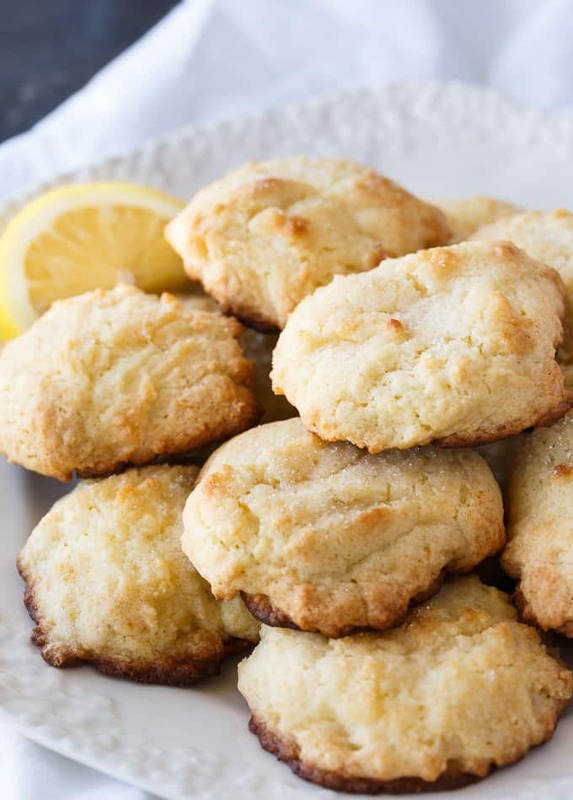 Why not take things a little further with a batch of Lemonade Cookies? 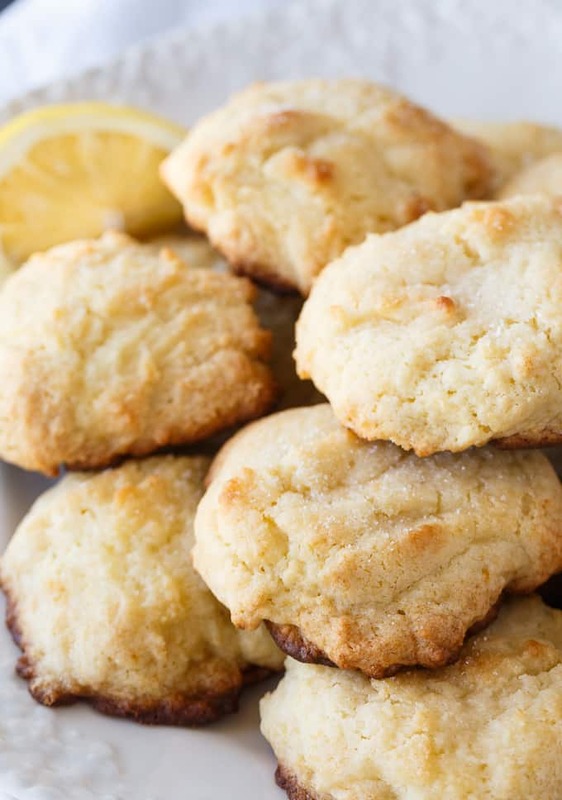 They are soft, moist and bursting with sweet lemon flavour. You are going to LOVE how easy they are to whip up! 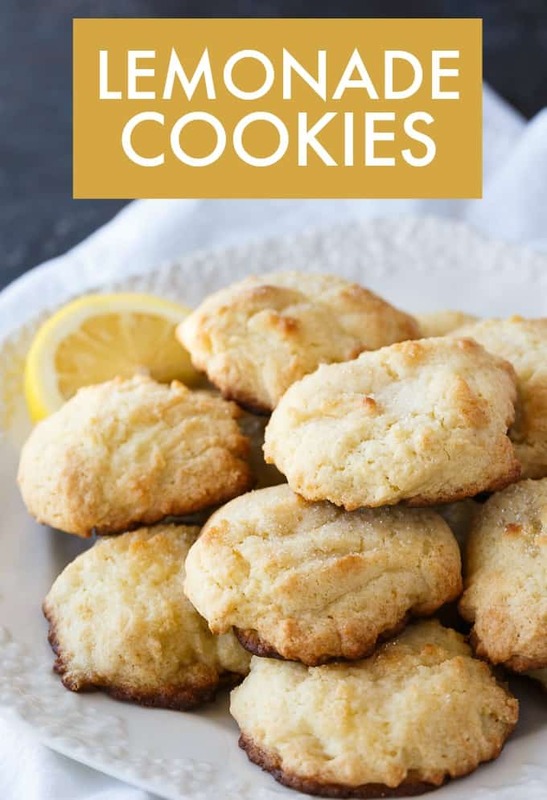 With a few basic ingredients including a can of frozen lemon concentrate, you will have two dozen mouthwatering cookies to enjoy. It’s an easy recipe and one that the kids can help you make. Need a recipe for a cookie exchange or bake sale? Here ya go! 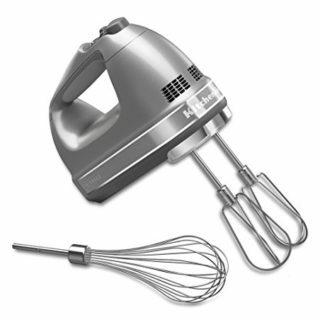 Grab a large mixing bowl and add eggs, butter, sugar and half a can of thawed lemonade concentrate. Beat with an electric mixture until blended. Stir in flour and baking soda. The mixture will be thick and a little sticky. Drop by tablespoonfuls on an ungreased cookie sheet. Bake for 8 minutes. 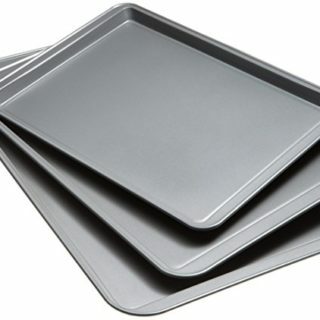 Remove from cookie sheet to a baking rack. Brush with lemonade concentrate and sprinkle with sugar. I let my batch cool a little before we ate them. I loved how soft and pillowy each bite was. I love anything lemon. Both my daughters devoured the cookies. I saved some to give to my cousin and her teenage boys since this recipe makes so many. If I kept them all in the house, I’d eat them. They are just soooo good. Bridget ate almost the whole plate of cookies and Olivia wasn’t too happy about that. It’s a good thing I have more lemonade concentrate in the freezer and can make more easily! 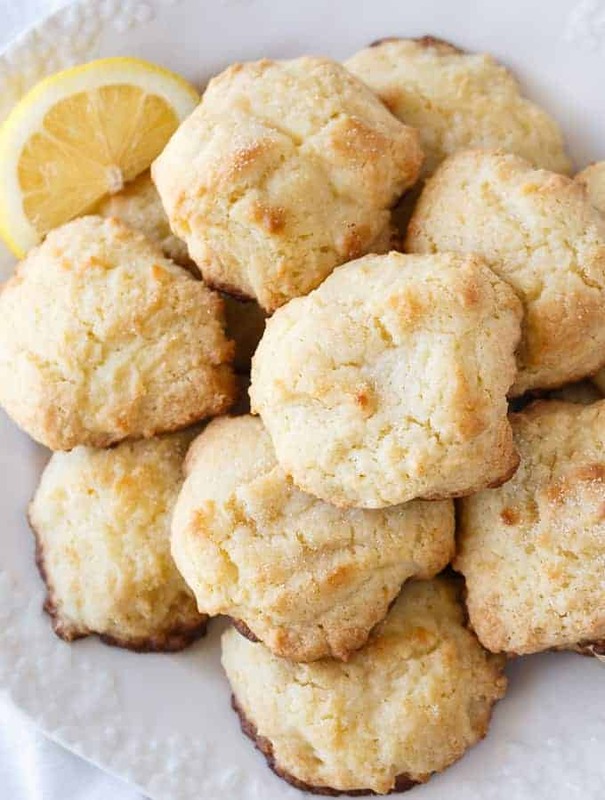 For more lemon desserts, try my Lemon Sauce, Lemon Coconut Macaroon Cookies, Lemon Pound Cake Muffins and Lemon Bars. 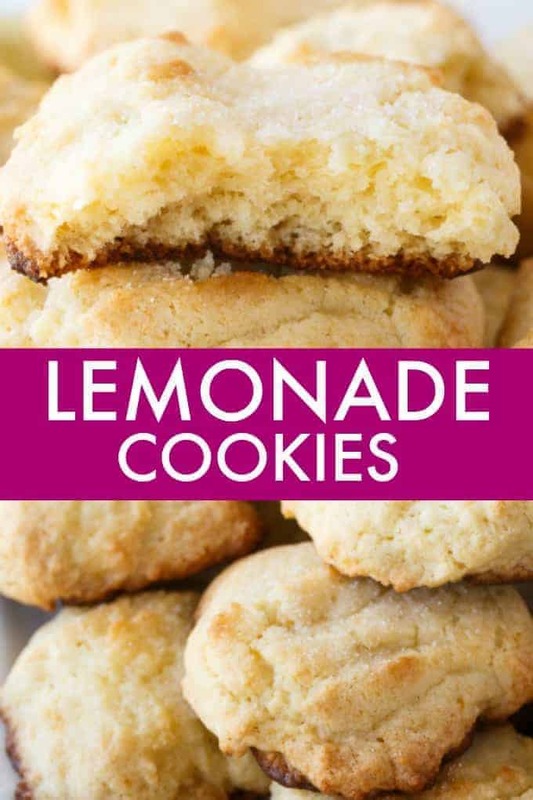 Have you tried Lemonade Cookies before? 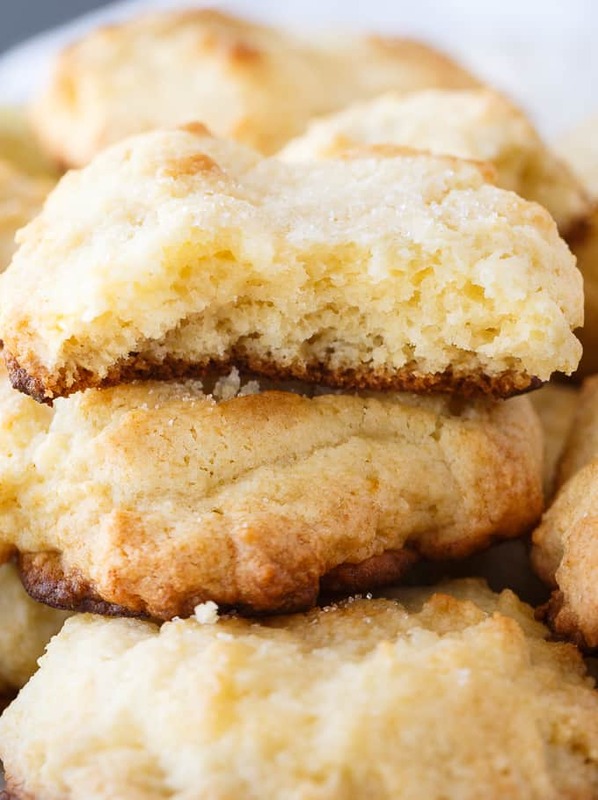 These delicious cookies are soft, moist and bursting with lemon flavor! 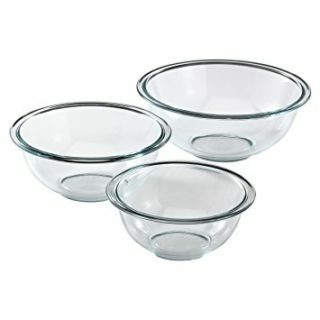 Add eggs, butter, sugar and half of the lemonade concentrate to a large bowl. Beat with an electric mixer until blended. Drop about a tablespoonful on an ungreased cookie sheet. Bake for 8 minutes. Remove from oven. 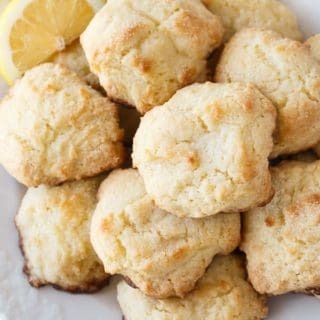 Brush cookies with lemonade concentrate and sprinkle on sugar. These look great, I’m not sure if we have cans of lemonade concentrate here in the UK, I’ll have to do some research! Hi Lynn, it’s all purpose flour. Sounds and look yummy! Pinning! Here from Dream Create Inspire! I love everything lemon also. My mouth is watering already just looking at these cookies!